But the welfare state has also created huge pockets of morale-sapping dependency, chiefly in the form of deep poverty traps that have robbed many people of both the incentive and the ability to work. I will be voting for Fine Gael today because I believe it has the best policies to help the economy. But I also believe it has the best policies to help the poor -- contrary to what the Left would have us believe. For one thing, if you boost the economy you help poor people into jobs, but another reason is because Fine Gael has in it individuals like Leo Varadkar who would have the steel to reform the welfare state so that it will help its recipients far better than the present version. David Quinn’s article ‘Welfare state robs poor of incentive to work’ (Irish Independent, February 25) could have been written by Mr Brocklehurst in ‘Jane Eyre’ and was, for a man who seems to pride himself on his religious beliefs, as unchristian a piece as I have ever encountered. Wuthering Heights by Emily Brontë (Bantam, $5). One of the great stories. The quintessential obsessive love story. Truly amazing. Not that passion disappeared from British life. It was just that a passionate nature was seen as a breeding flaw. Read the ultimate Victorian novel, Wuthering Heights - or rent the movie with Laurence Olivier. 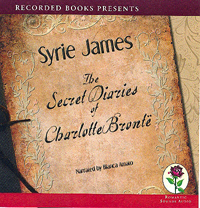 The hero, Heathcliff, is passionate all right, but he is a foundling, a street-urchin not from proper society. Spicy Reads of Allegan, MI offered a list that is heavily contemporary and female: Emily Dickinson, Audre Lorde, HD, Sylvia Plath, Gwendolyn Brooks, Marianne Moore, Phillis Wheatley, Edna St Vincent Millay, Emily Brontë, Denise Levertov. Il film era tratto dallo straordinario romanzo-poema di notevole forza fantastica, scritto dalla grande scrittrice inglese Emily Brontë e caratterizzato da un’immaginazione tesa al sovrannaturale. Libro e film narrano l’amore romantico e tragico tra Catherine e Heathcliff (si tratta, in effetti, di un triangolo perché Catherine nutre anche affetto, seppur di natura molto diversa, per il marito Edgard Linton). Il film seppe rendere a meraviglia quest’amore cupo e allucinato, fatale e distruttivo, che spezza i cuori di tutti non lasciando spazio a nessuno, tutto distruggendo e calpestando intorno a sé con ferocia e disperazione, compresi gli stessi protagonisti. Merle Oberon interpretò alla grande una sensibile giovane donna in crisi con l’ordine stabilito, devastata da un amore violento, e armonizzò in modo intenso con la natura selvaggia e la brughiera solitaria (battuta dal vento, verdeggiante di muschio e fiorita di erica) che furono filmate in modo superbo, creando uno scenario e un’atmosfera dal fascino irrepetibile. 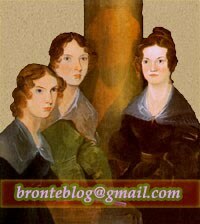 Arnold: Die Verfilmung des Romans „Wuthering Heights“ von Emily Brontë. OÖN: Welches Bild hatten Sie dabei vor den Augen? Arnold: Ein riesiges, kletterndes Ungeheuer. Wenn man näher kommt, stellt man fest, dass es ein Mann ist. Chelsea's Blog'o Fun! discusses Wuthering Heights and quotes several critical classical approaches; Scribblemaniac visits Whitby and thinks it must still look like Scarborough must have looked back when the Brontës visited; Fervent Reader reviews Juliet Gael's Romancing Miss Brontë; Papeles Perdidos (El País) describes Wuthering Heights 1939 as an average movie inspired by a good book; Les Soeurs Brontë posts the third part of her analysis of the so-called new Brontë portrait, relaying James Gorin von Grozni's arguments. In her opinion, the sitters are the Brontë sisters (about which we remain sceptical) but the portrait is not by Edwin Landseer. Winners will be announced at the Audies Gala on May 24, 2011, at The TimesCenter in New York City.